Perfectly balanced cat food with the right vitamins and minerals, Whiskas Pouch Jelly in different great tastes for gourmet cats! 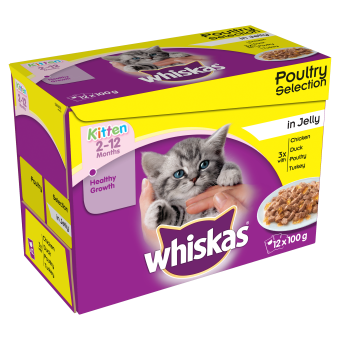 Whiskas Selection in Jelly is a great range of high quality ingredients of succulent pieces of meat or fish, which provides an interesting variety to your cats diet. 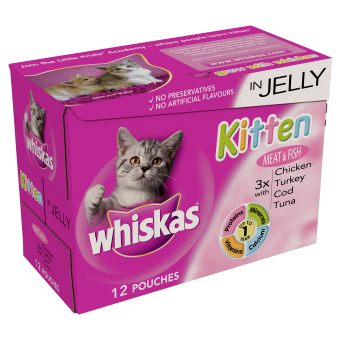 It includes a perfect balance of the right vitamins and minerals, that makes this Selection in Jelly a 100% complete pet food for your adult cat.